The goal of the project is to develop data sets that can be used to model erosion and deposition along rivers draining two Cascade volcanoes, Mt. Rainier and Mount St. Helens National Volcanic Monument. 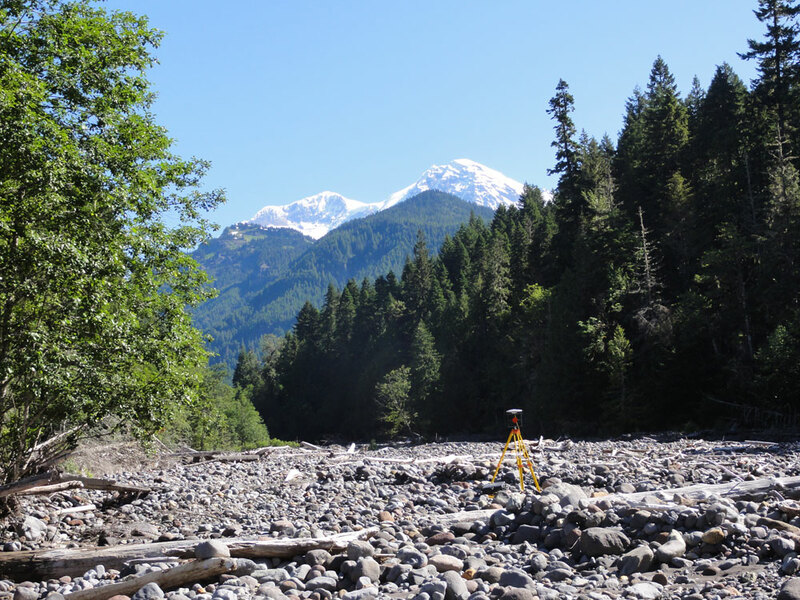 The project has two components, one focusing on processes of sedimentation on Tahoma Creek on Mt. 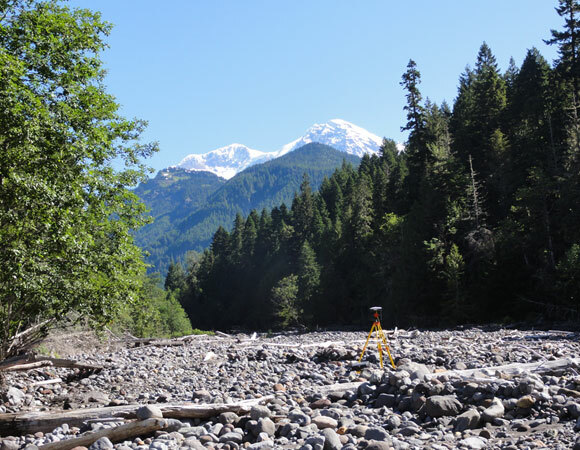 Rainier, the other focusing on processes of erosion on the North Fork Toutle River near Mt. St Helens. 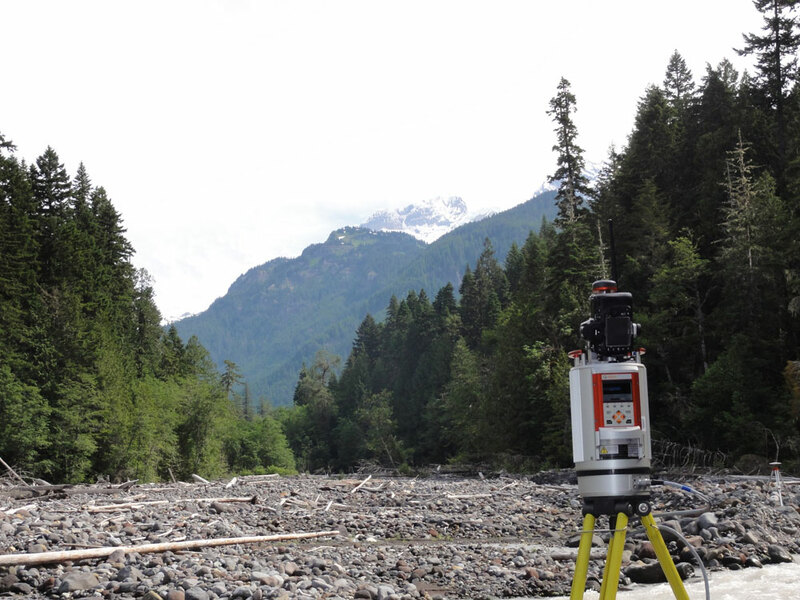 TLS measurements were taken at selected localities on these two rivers. Data sets (DEMs) developed from these measurements can track changes in valley-floor topography and develop models of erosion and sediment transport. 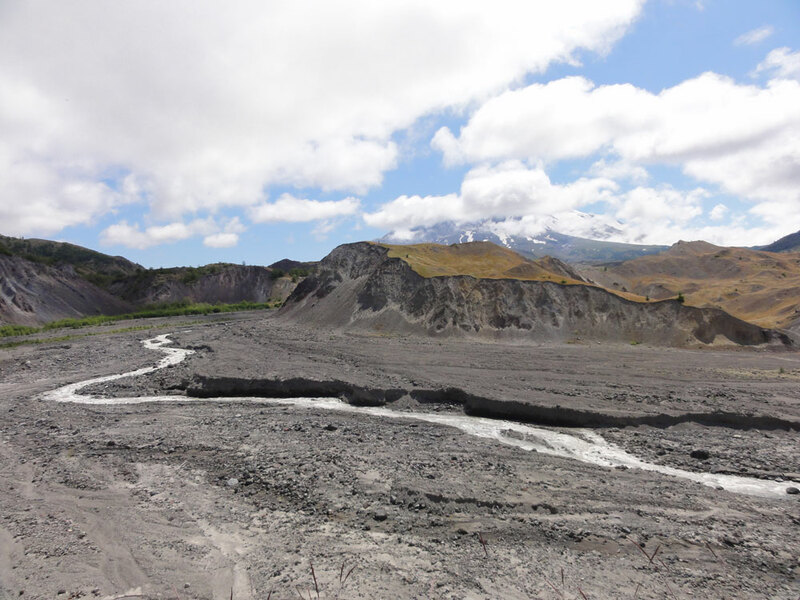 The fieldwork at Mt. 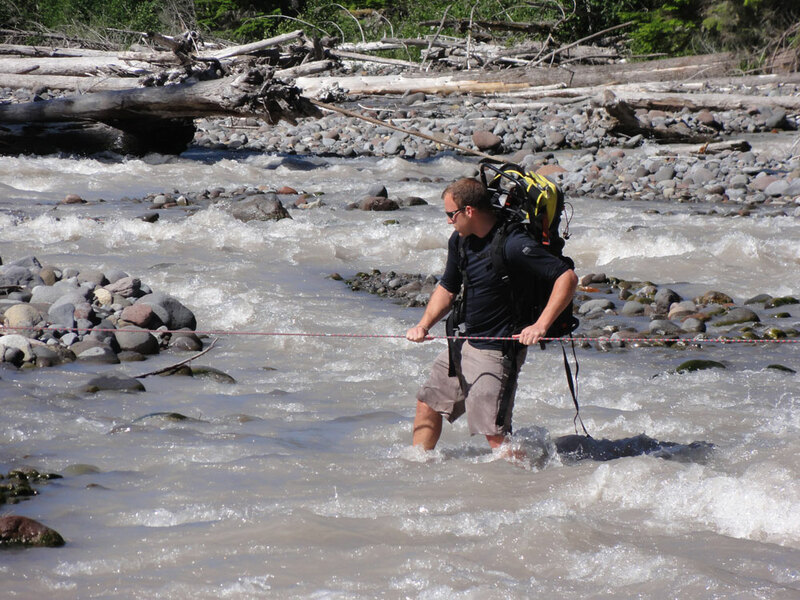 Rainier was supported by the National Park Service and fieldwork at Mt. 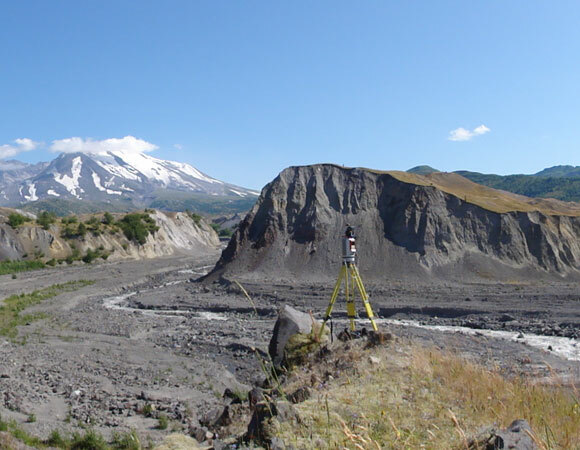 St. Helens was supported by the USGS-Cascades Volcano Observatory. 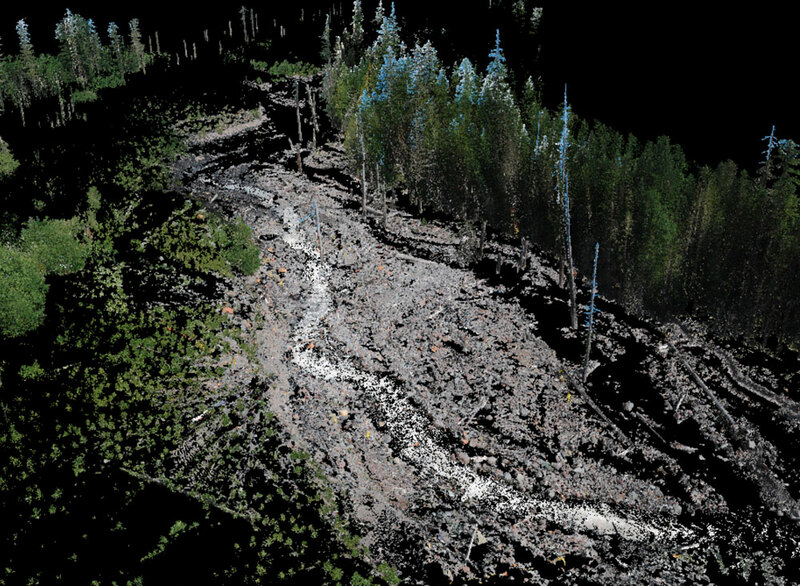 Future plans include mapping the same areas, to, develop estimates of erosion and deposition by differencing the elevations. 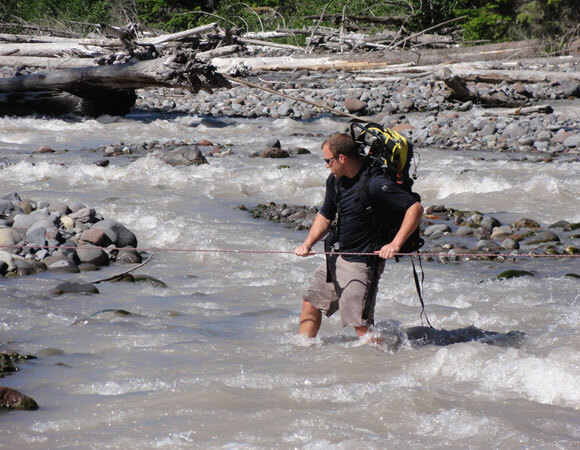 These future surveys will help develop quantitative models of erosion and sediment transport on these dynamic river systems. Figure 1. North Fork Toutle River near Mt. St Helens. Scan postion 1. Photo by Jim Normandeau. Figure 2. Close up of North Fork Toutle River riverbank. Photo by Jim Normandeau. Figure 3. Reigl VZ400 Scanner along the Tahoma River with Mt. Rainier in the background. Photo by Jim Normandeau. Figure 4. One of three scanner targets used as GPS reference points. 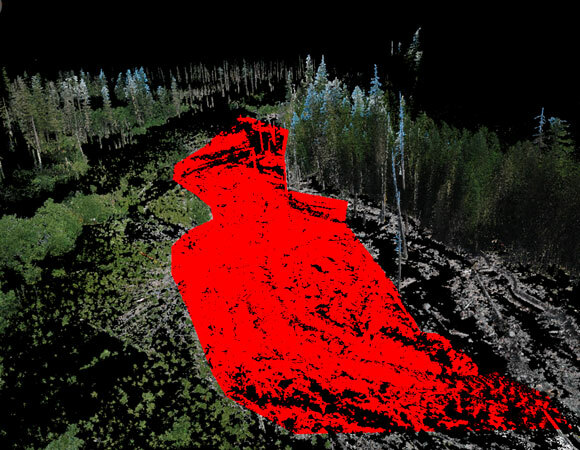 The use of GPS allows the Lidar data to be geo-referenced. Photo by Jim Normandeau. Figure 5. Moving equipment from one scanner position to the next. Photo by Jim Normandeau. Figure 6. 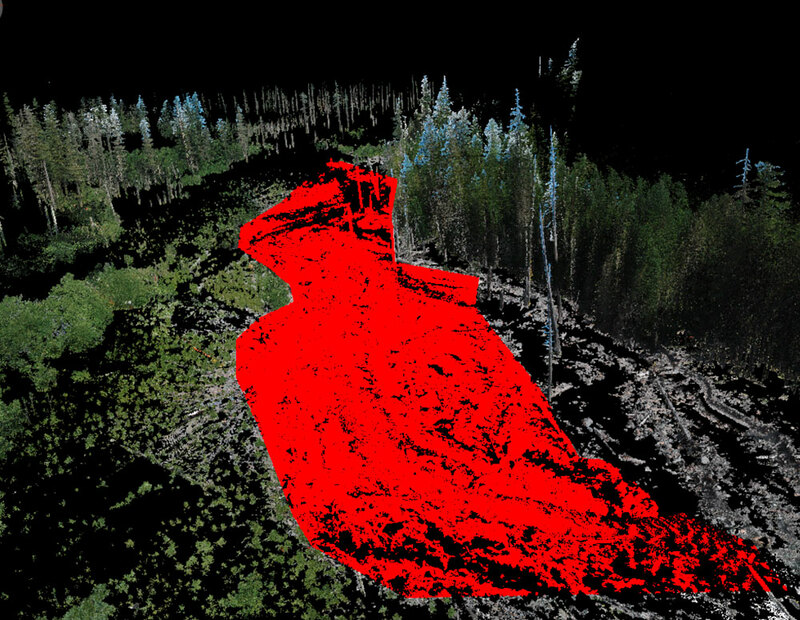 Colored (RGB) LIDAR data. Figure 7. Creating polydata to be exported fro analysis. This technique removes data that is not needed.